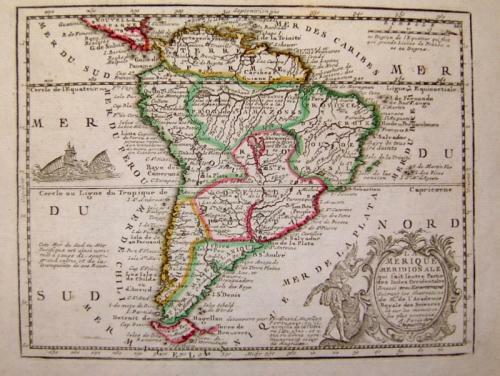 An attractive map of South America with a sea battle being waged off the coast of Peru. In the early eighteenth century, French cartography overtook the Dutch in terms of accuracy and design. Unusually, included with the map is an additional explanatory sheet of the engraving.